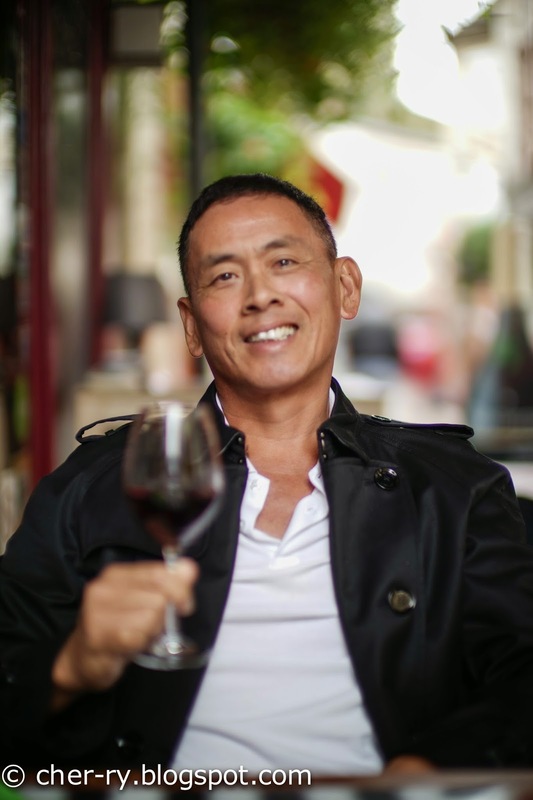 U can't drink anything else whenever in Burgundy, else the sommelier will throw u that look. Hahaha. 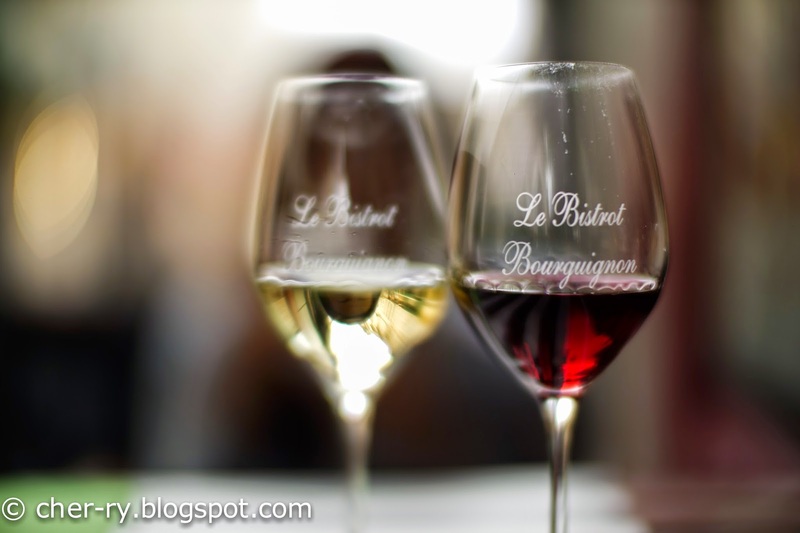 Le Bistrot Bourguignon is a decent place run by flying sommelier Jean-Jacques Henner and Chef Benoit Roux. I guess they must have deep chemistry in running this establishment pairing regional cuisines with locally produced wines. We just finished a wine appointment and was hungry. So where else to eat if not here? Simple bistro where locals hang out, located right smack in the middle of the town. 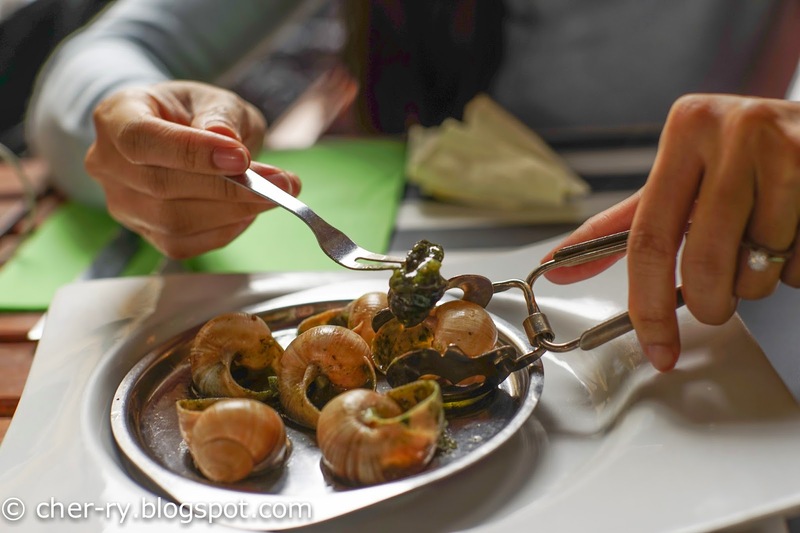 one must eat snails in Beaune. It's their local cuisine. Can't get any yummier than this. With parsley butter. U notice how it doesn't drench the snails but the sauce coated each snails nicely. The texture of the snails were so heavenly. 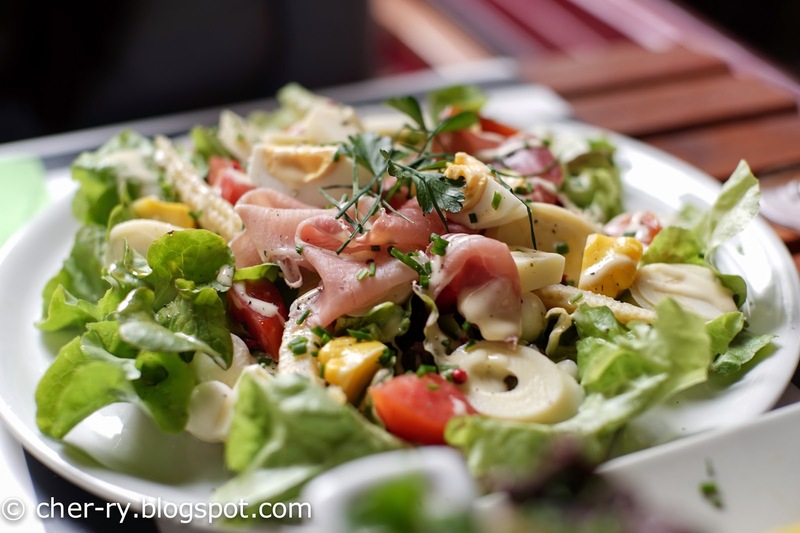 Parma ham, with pickled pickled artichoke hearts on a bed of garden greens and baby mozzarella cheese. Hearty lunch, just wat I needed after all the walk and wine tastings!!!! 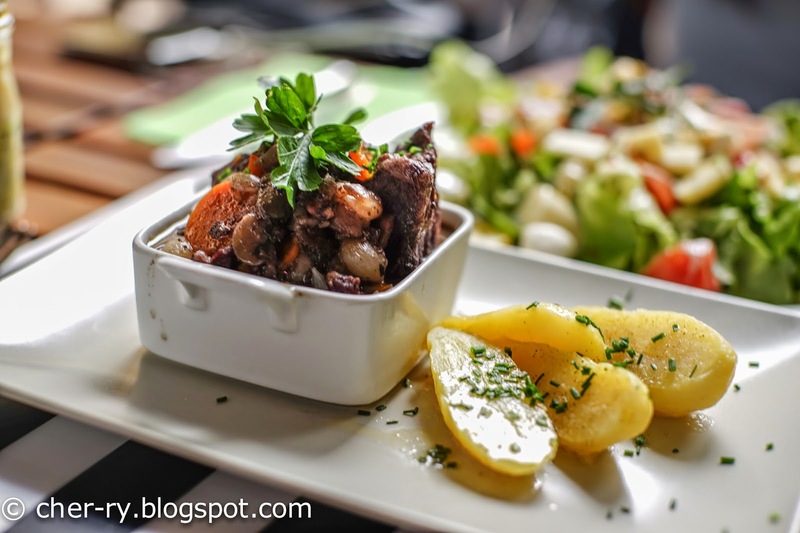 the main dish that u must try here is the famous beef bourguignon. Afterall it's the regional dish, beef stewed in burgundy wines, with loads of pearl onions, garlic and carrots. Soft juicy and tender, even the bland looking potatoes were so good!!! I don't know why potatoes here are very intense in flavours with that fluffy texture. he's one happy boy after all the hearty food and we had more wines as we sat there watching time passed. No desserts for us...only coffee as we are not really dessert person, hence we are really poor in recommending ppl for items in this particular "department" hahahahaha. 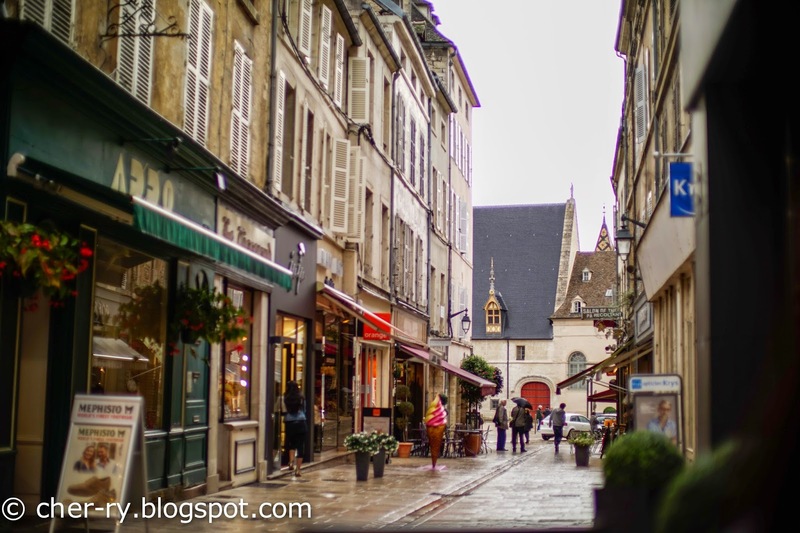 along the same street from where we sat, u can see Hospice de Beaune at the end. Plenty of quaint shops lined this pedestrian street. Trust me, plenty to buy too. From locally made parfums to artisanal nougat!!! the nougat in France is outstanding. Also some shops selling kitchen accessories, Knives shops, shops that specialised in brass pots and pans and of coz wine accessories shops.